Dean of Quebec violin makers, Jules Saint-Michel has devoted himself for more than 45 years to the making and restoration of violins as well as to the study and expertise of old and modern instruments. 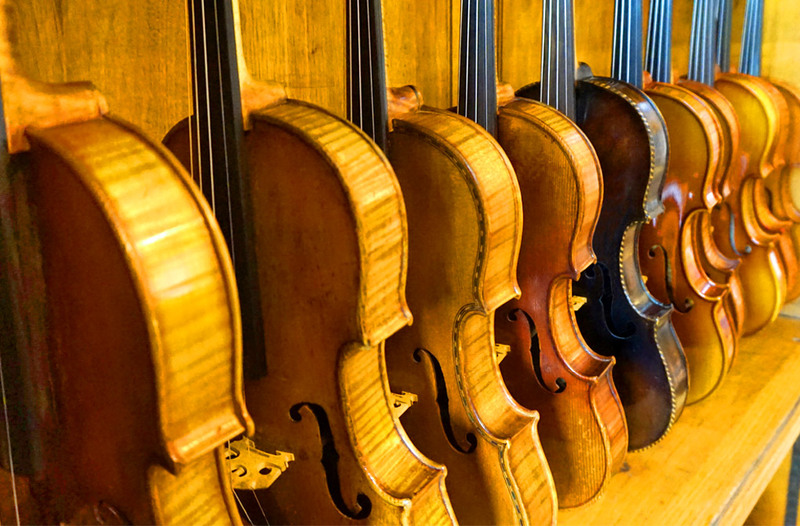 A recognized specialist and a judge of international violin making competitions, he has made available to the public a part of his important collection of string instruments. Claude learned at a young age the basics of the craft. Today, he concentrates on general administration. He has especially developed import services, wholesale distribution and information systems. A graduate of the Université du Québec à Montréal, Lili Saint-Michel directs sales, instrument rentals and customer and institutional relations. Trained in the United States, she supplies repair estimates and follow-up. She is also in charge of guided tours in the ECONOMUSEUM of the Violin.